This topic contains 28 replies, has 12 voices, and was last updated by Alfalfa 4 months, 2 weeks ago. 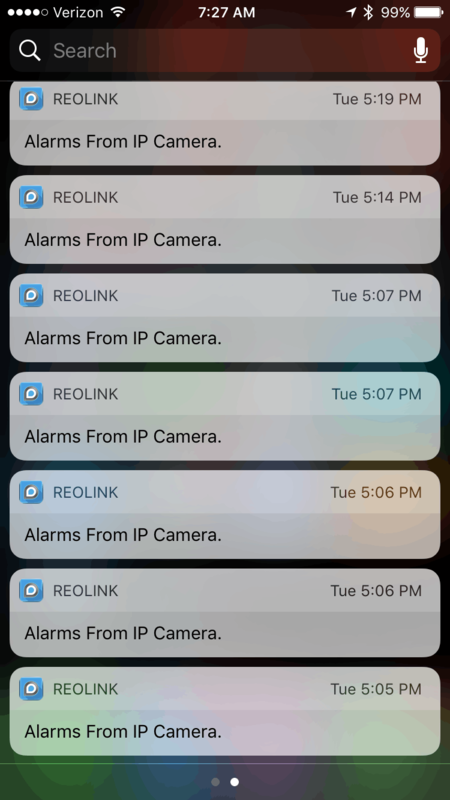 I have recently begun testing motion detection push notifications on my own system as I have a friend who will soon be looking to deploy a ReoLink system, and push notifications are a huge feature he is looking for. 1.) When viewing a particular stream, for example, Channel 6 on my 8 channel NVR, stop sending MD push notifications for that particular stream while I am viewing it, considering I am already seeing any motion and it hinders my live view. 2.) When I have the app totally closed, and I get a push notification of MD, for example on Channel 3 of my 8 channel NVR, it should open up to that particular channel when I press OK or slide on it, since that would be the channel I would want to view immediately. Just some thoughts for improvement, however, overall, I am definitely extremely satisfied with the steady stream of updates and improvements ReoLink is sending out both for the cameras and the apps. Hi, your suggestions are profound and realistic. I will forward these requests to our R&D team. They will discuss those requests from users in routine meetings. Your request could probably be adopted. I know this is an older post but just got my ReoLink Argus cameras. I would also like to add to the suggestions on push notifications. Instead of just saying Alarms from IP Camera. I would like to see what camera it is. That way I can quickly and easily tell what was triggered. The idea being if I am expecting someone at a specific time and that MD is triggered I don’t have to worry. Another thought I have is that a quiet period for notifications would be nice. For instance I am mowing the lawn and it takes my 30 minutes to finish I should get 1 notification every x amount of time. Not sure what that time is but I don’t want to get like 500 alerts and emails during that period. 1. Instead of just saying Alarms from IP Camera. I would like to see what camera it is. That way I can quickly and easily tell what was triggered. 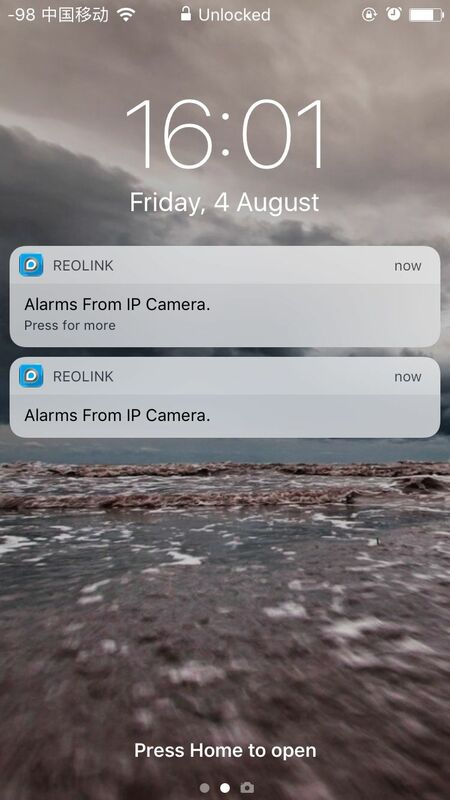 ——Please login the camera via Reolink App, go to Device Settings >> Display >> Name, and name your camera. Then your issue will be solved. 2. Another thought I have is that a quiet period for notifications would be nice. ——If you want a quiet period for notifications you can tap to disable PIR then you’ll receive no alarms during the process. — I have done the suggest to add the device name but the push notification does not work, but when i get an email I see the camera name. I have added pictures to show what I am talking about. This is not really what I am looking for as I have set up schedules so I don’t get alerts. But what I am looking for is when the camera is on and there is constant movement in that area I don’t need to get a ton of alerts/emails. Some other cameras I have seen or NVR’s allow you to do a record X seconds before event and X seconds after event. This could then be use not to send another alert until that X seconds after event. And a record X seconds before event and X seconds after event are called “pre-record” and “post-record” which is not available for battery-powered cameras, but available for other models from Reolink. You can do some research on the battery-powered cameras on the market and you’ll see pre-record is not realistic for battery-powered but only for DC powered cameras as it demands for non-stop working. And for Reolink Argus, if it’s triggered it records for 6 sec and send you an alert. If it’s triggered again after the 6-sec, it will push again. Thank you for looking into it.. This is not in the near future plan, sir. This app needs a section just for notification it could be called Notification or Motion and it could have two tab what with “All” and “New”. 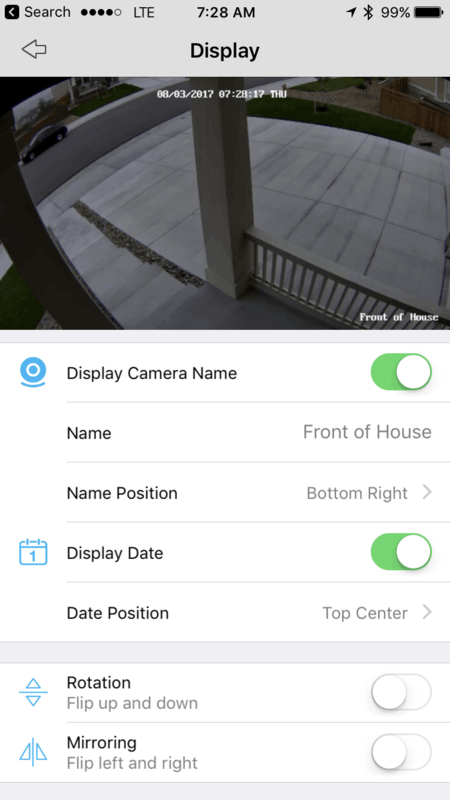 This section need to show a thumbnail with the day and time the motion was taken when you touch on it will play 5 seconds clip showing what was captured by the motion sensor it could be on low quality to save space. From the short clip an option to review the same clip but this time form the NVR to see further. The user spend a lots of time going to the playback section trying to find the exact spot for the notification just to find out it was nothing important. It will improve the use experience if once you get the notification you click on it or go the Notification section and see a 5 second clip to decide if you need to see more or if it was a false alarm. You could be in a meeting or with the kids on the park and it would take just 8 second or less to review your motion sensor notification to see any malicious activity is taking place on your home or office or maybe it was just the neighbor cat. i second this suggestion as this was on my radar to be brought up here. thank you “ohallord”…! I have a request – please bring back the BLUE icon for push notifications, it’s much more noticeable. The most recent Android update has switched it to white, where it blends in with other notifications. I have a feature request regarding push notifications and the playback of recorded events. I would love to see a clickable list of the notifications inside the app that would lead me directly to the playback of that specific event. As it is now, I need to correlate the time of the alert with the timeline and then select that time from the time selector. I have an Argus camera and use the Reolink iPad app. Thank you! Your request is collected. I am using Argus with Android App. I got the email notification feature working, however, it only captures one image when the PIR was triggered. I find that the captured image is not that useful, as the image always capture a ‘moving person’, which the face portion will always be blurry. Would it be possible to have an option to capture more than one images with time interval? I have that option on my other security camera. I find that capturing multiple images gives me a bigger chance of capturing the person with a clear face, so I can tell who is at my door.